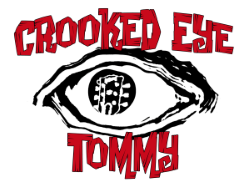 Tommy Marsh is one of the most sweetest, generous, hardest working men in town, but he also happens to be one talented blues man who also has the smarts to surround himself with uber-talented musicians on his latest project, Crooked Eye Tommy. In 2014, the newly-formed band competed in the Memphis International Blues Challenge where bands from 16 countries converged for the top prize. Our active blues community really came together to raise funds to get the band to the competition (See article and photo gallery). Crooked Eye Tommy went; they played hard and advanced a long way reaching the Semi Final round. 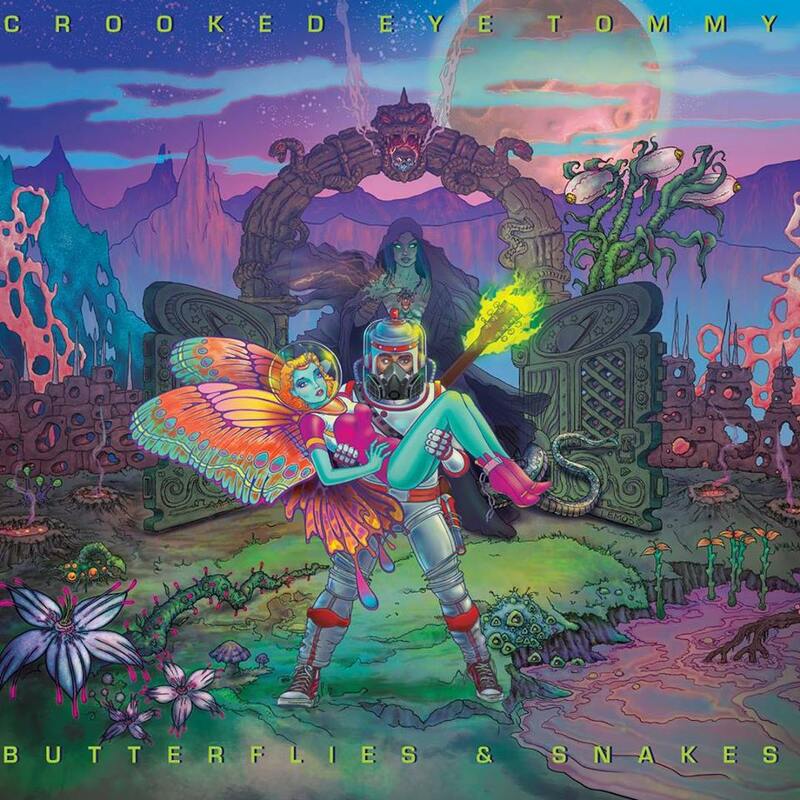 It was soon after Memphis that Tommy took the boys into the studio to produce Butterflies & Snakes because when you’re on that sort of high you want to harness the energy. Well mission accomplished. Without a doubt, Tommy writes from the heart, he divulges life experiences, digging down deep, intimate, soul revealing, and totally committed to each song, no holds barred. His singing, his playing, his writing, he just lays it down from the heart. “Aft er the Burn” has become a staple here in town almost the band’s signature tune. 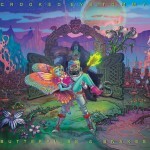 “Over and Over” is so intimate, I have to confess that I blushed the first time I heard it. “Mad and Disgusted” is a prime example of the brothers in sync, flawlessly complimenting each others guitar work, along with Jimmy tearing up the keyboards. I Love the steel guitar work on “Southern Heart” compliments of Jesse Siebenberg, which has a definite southern country feel, in fact, several pieces don’t fit the traditional Blues mold and that’s okay; a little southern flair, rock and roll and blues meshed together makes for an interesting combination. Add to the equation talent and incredible mastering, this one hits it out of the park for Tommy. 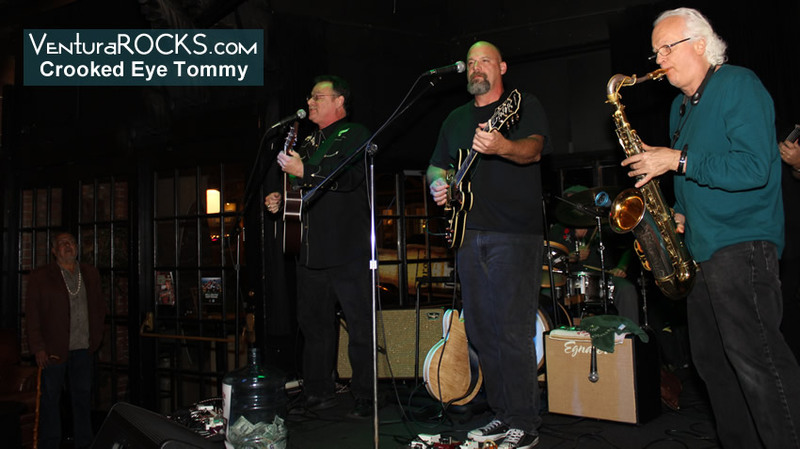 The players are Tommy’s brother Paddy Marsh (the talent runs deep in this family), add to the mix highly respected and high in demand drummer, Tony Cicero, Glade Rasmussen, one of the solidest bass players in town and music icon Jimmy Calire (Raven, America). Produced by Tommy Marsh, Dan Grimm and Tammy Mosby; recorded at Brotheryn Studios and engineered and mastered by Jason “Gandalf” Mariani.